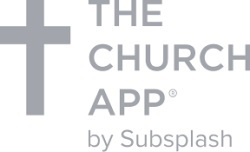 SEATTLE, Jan. 17, 2018 /Christian Newswire/ -- Subsplash, the leader in mobile technology for churches, has just announced the latest breakthrough in mobile engagement—The Church App® now available in iTunes and Google Play app stores. With The Church App, anyone can now easily access hundreds of thousands of inspirational sermons and other gospel-centered content from thousands of leading ministries around the globe. Users can set their own church as a favorite and engage with their local community by listening to sermons on-the-go • downloading media for offline listening • finding and registering for events • reading blog articles • studying the Bible • donating to their ministry • taking notes in church • receiving push notification updates • and much more. It is, as Subsplash claims, "The Ultimate Engagement Platform®" for churches. "At Subsplash, our goal is to make the truth of Jesus incredibly accessible. We built the first church iPhone app back in 2009, and we've been creating innovative tools that equip church leaders ever since," said Tim Turner, CEO of Subsplash. Bible teachers like Greg Laurie, Andy Stanley, Levi Lusko, Rick Warren, and many more are tapping into the power of the Subsplash platform to share gospel-centered content to the next generation of mobile users. Matt Chandler, Lead Pastor of The Village Church in Texas, is using the Subsplash platform to help engage his community at one of America's largest churches. He shares: "We've received rave reviews already about [the app] because it provides one more medium to extend our messages about the gospel out to the world." Cody Jeffries, World Harvest Church, Kentucky shares about his Subsplash experience: "... Because of their platform we have been able to reach almost double our regular Sunday attendance. It's easy for anyone to create and manage an amazing app experience." Subsplash and The Church App are owned by Christians who are passionate about serving Jesus' Church in the US and around the world! Subsplash has won awards, created some of the most downloaded apps of all time, created enterprise software for world-class brands like XBOX, Microsoft, Samsung, Expedia, and Cisco, and their work has been featured in Wired, Engadget, Gizmodo, and the Wall Street Journal. Their Mission: Glorify God and proclaim Jesus is Lord by building a great company that drives for humility, innovation, and excellence to delight millions of people on Subsplash platforms.